Did you make any health-minded resolutions this New Year’s? 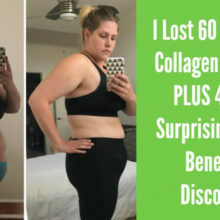 Was it to lose weight? Cut back on sugar? Exercise more often? Maybe all of the above! While kickstarting those changes is key, the real challenge comes in maintaining them for longer than a few weeks or months. We know that staying motivated can be tough, but it’s important to remember why you set those specific goals in the first place so even on the hardest days, you can keep moving forward. Using the SMART acronym can help when setting resolutions: Smart, Measurable, Adaptable, Realistic, and Time-Bound. This means that your objectives should be reasonable and achievable. It’s not realistic to promise yourself that you’ll lose 50 pounds in the next month. Instead, make a workable plan that includes specific ways and time frames that can help you successfully achieve your goal. And make your goals personal to you! Identify what is important to you and include that in your plan. It will be much easier and less overwhelming to achieve your goals when you have made them realistic and individual to you. The word “diet” can evoke feelings of restriction and deprivation. But when we break down the definition of the word, it simply means the pattern of foods we routinely eat. So, really, we are all on a “diet” of some form or another. Remove the dieting mindset and stop thinking about being on a strict meal plan; this can create pressure and negative feelings about eating. Instead, try to approach eating and meals in a positive way. Focus on eating foods that provide nourishment and help your body stay strong. Strive for balance, rather than avoidance, when it comes to indulgent foods you love. Remove labels like “good” or “bad”; stop thinking of food in categories of what you can and can’t have. Take time to slow down, become more attuned to hunger and body signals, and savor your meals. Recognize when you’ve had enough and summon the courage to stay strong in social situations that provide temptations. Focus on the movement you’re currently doing, not what you have to do next. Listen to your body: If you’re hurting, rest. If you know you can do more, push a little harder. Recognize how great your workout makes you feel, physically and mentally. It’s certainly possible to do it alone, but that path can be a lonely one. And it’s much easier to fall off the wagon when you don’t have the support of others. Whether it be friends, family, coworkers, or an online community, choose people who help you feel motivated and rally them around your cause. Share your accomplishments, as well as your struggles. You may be surprised at how helpful it is to have that person or group alongside you for the journey. Declutter your kitchen and pantry. Take inventory of your pantry, fridge, and freezer. Clear out foods that you don’t want to be eating as part of your new healthy lifestyle. Set up your environment so that it’s easy to make healthy choices each day! Keep a journal. Whether your goal is related to food or exercise (or both! ), journaling is a great activity to help you discover what works well for you…and what doesn’t. But don’t just leave it as a list of what you’ve done for the day. Make sure you also add notes about your mood and energy level: How did you feel before and after you ate? How did you feel before and after you worked out? These clues can help you tune in to situations, stress, and other factors that influence your behavior. Find a partner. Sometimes we think we have to tackle big changes on our own. While having a support system is important, as mentioned above, finding someone who has the same goal can be even more helpful. Partnering up with a friend or family member can help keep you accountable, motivated and mindful. Remember, everyone’s journey is different, but making a healthy dinner or going for a walk with someone who is aiming for the same result can make the effort feel a little more effortless. As we embark on a New Year full of hope and new beginnings, let’s remember to practice kindness towards ourselves. Striving for perfection is admirable, but not possible. When you fall short of your own high expectations, it can initiate cycles of low self-esteem and feelings of inadequacy. Being accepting of yourself might make all the difference in persevering towards healthy long-term resolutions. Share your resolutions and goals with our Further Food community in the comments below!